All swimmers (wetsuits and non-wetsuit categories) are scored in order of timed finish, by gender. We plan to have a wetsuit and non-wet suit Championship once the Series grows in participation. The Truckee Swim Classic is the championship event. This event will earn 1.5 x the point values. Awards will be provided at this event. You must race in a minimum of three races. If you race in more than three races, your top three scores will be taken. For example, if you compete in 4 races, your top three scores are taken and the other one is dropped. Note, you receive a 1 participation point for each race you race. NOTE: For 2017 the points are based on two races. 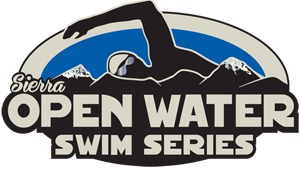 This is due to the cancellation of the Sand Harbor Open Water Swim. At the end of the series we will award the overall winning male and female with very cool SWAG from Big Blue Adventure and other sponsors. As the Series grows will will award to the top three men and women in the wetsuit and non-wetsuit categories.